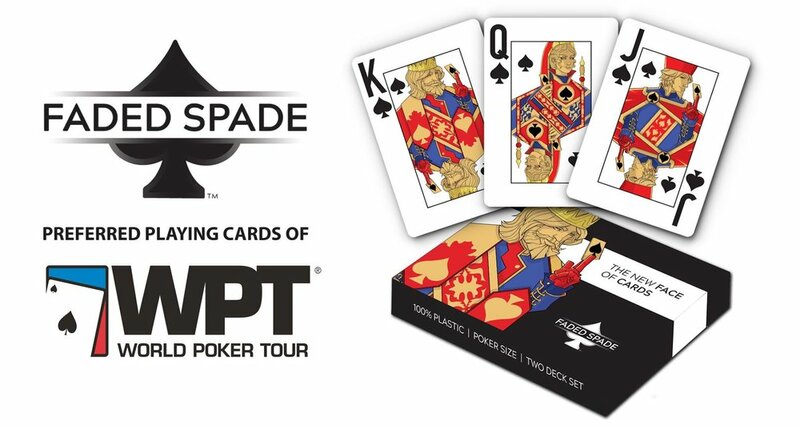 Per WPT social media accounts: "WPT is excited to introduce Faded Spade as the Preferred Playing Cards of the World Poker Tour! Get 20% off at FadedSpade.com using the code WPT at checkout. Faded Spade features a fresh and modern face card design with a custom poker index at 100% plastic casino-grade quality. Upgrade to Faded Spade, the new face of cards for today's poker era!" "Faded Spade is proud to be the Preferred Playing Cards of the World Poker Tour. We're excited to be associated with the most player-centric organization in the industry and the premier name in internationally televised gaming and entertainment," said Tom Wheaton, Founder & CEO of Faded Spade. Stay tuned for more information as the Faded Spade and World Poker Tour relationship continually evolves in 2018.